Microsoft took a stab at quantum computing today. At the Microsoft Envision/Ignite conference, more than 25,000 customers attended to hear about the creation of a new programming language by the software giant to optimize scalable quantum computers. Microsoft plans for the deep integration of the programming language into Visual Studio. Microsoft also had a call to action looking for developers. Microsoft is providing quantum tools at no charge by year’s end and is asking the developer community to join it by signing up at www.microsoft.com/quantum. The first two trends have been well documented, but quantum computing is a new wrinkle for Microsoft. Nadella said that all three trends will cut across all Microsoft solution areas. Microsoft revealed at the 2017 Envision/Ignite conference in Orlando that it has been investing in quantum computing for a decade. Microsoft CEO Satya Nadella at the Inspire conference. 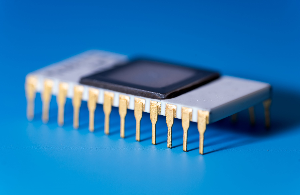 Company spokesperson Frank X. Shaw said that the investments started from silicon and went all the way up to software of the quantum computing stack. As recently as last November, Microsoft publicly stated it was working on a scalable quantum computer using a technology called topological qubit. The company even put Todd Holmdahl, its corporate vice president, in charge of the project. Holmdahl, you might recall, developed the Xbox, Kinect, and the HoloLens. Holmdahl said, in November of last year, that quantum computing was reaching an inflection point and the next step was to engineer a product. Holmdahl said the quantum project has risk, but it could also make a huge impact in the world. 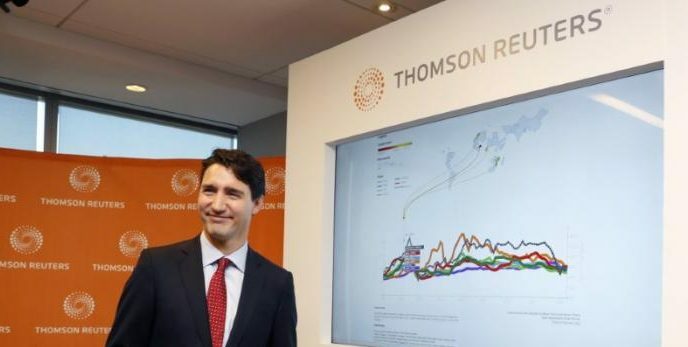 Quantum Computing made headlines last year when Prime Minister Justin Trudeau gave an accurate explanation of it during a press conference at the Perimeter Institute for Theoretical Physics in Waterloo. A video of his explanation went viral and Microsoft senior spokesperson Shaw even referenced it during his briefing with reporters before the Microsoft Envision/Inspire conference. The promise of quantum computing means that machines with quantum intelligence will be able to calculate things that humans are not capable of today. It can also do calculations that would take centuries to do in a matter of seconds. Microsoft is not the only vendor in the quantum game. IBM and Google announced products for quantum computing. IBM showed a quantum computer chip made of 17 superconducting qubits. But this chip is only scratching the surface of quantum computing. Called IBM Q, it’s Big Blue’s first attempt at a commercial quantum computer. Google is trying to use quantum computing to help its autonomous car recognize landmarks. According to IBM, quantum computers will be able to deliver solutions to important problems where patterns cannot be found and the number of possibilities that you need to explore to get to the answer are too enormous ever to be processed by classical computers. Please note that a qubit is short for a quantum bit or unit of quantum information. According to Wikipedia, a qubit is a two-state quantum-mechanical system, such as the polarization of a single photon: here the two states are vertical polarization and horizontal polarization. What can you do with quantum computing? Lockheed Martin hopes to make safer airplane using quantum technology. It has also been reported that quantum computing will be able to help people view distant planets and better analyze the data we get from large telescopes such as Hubble. Maybe even detect cancer faster.